Every day, the Internet open spaces immediately grow, the number of users is growing. Then providers are beginning to offer us the use vpn technology. Really, the compound has a lot of advantages, and virtually no drawbacks, We talk about this below. This article will consider, how to set up vpn connection and why is it necessary. VPN – abbreviation in English language, which translates to “virtual Private network”. It is important to know, vpn technology that is used on top of an already installed a LAN or the Internet. They are easy to connect all computers in a single system. The most important value of vpn – excellent protection of data transmitted, which is ensured by encryption code. If computers have physical access to each other, which is provided by a mains cable connection or wi fi, be sure to vpn server must be installed. Do not worry, for this role is perfect for a regular computer or laptop. true, You need to install the necessary software. 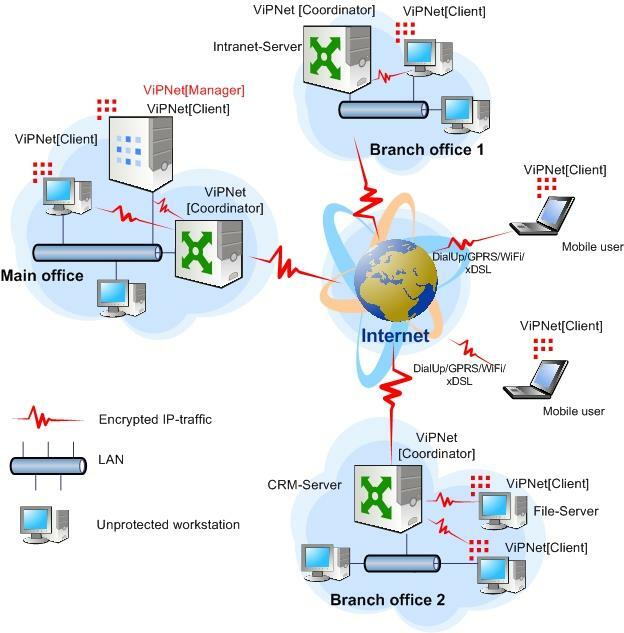 Vpn server task is to manage and configure the network connection between the virtual machine and the subsidiary. On computers or simply put machines, You need to install a vpn connection. This process can be simplified and written as: Setup and installation named vpn server, Entry address and password, which is useful for a successful connection. The trouble is that, there are many different operating systems, and, respectively, setting different everywhere. Consider the most popular options in more detail. Click on the “start”button, which is located in the lower left corner of the screen. Go to “Settings”, further, the “control Panel” and click on the icon “Network connections”. Can read the greeting of the setup assistant and click “Next”. Here select “connect to the network at my workplace” and click “Next”. The item “connect to a Virt. network”, and again “Next”. It is time for a little pee, come up and make a name for future network. Now it's time to use your phone. ISP dial number, and you know the address of the vpn-server. After that, put the phone aside and write the data. Shut down, it is desirable to select, in which the installer offers to create a shortcut on the desktop. After creating a network, automaticity computer should connect you to it. If this does not happen, then do it manually. Do not forget, that new configurations can fully edit and modify. More and more people are switching from win xp to win 7, and only the most faithful remain. This is not surprising, time runs, technology changes, and people are drawn to the more perfect and simple. To create a connection to the operating system, you only need to follow the instructions, which is given below. The main part of the process is practically identical to the previous version, but still there is little change. Go to the Network Management Center. To do this, click on the “start”button, next, select “control Panel”. Are you interested in the item “Connect to a workplace”, click “Next”. The system has dialed vam vopros, which must be answered as follows:: “No, create a new network”, click “Next”. Select “Use my link”. With the connection itself will have to work later, so click on the button “postpone decision”. In the Address field, enter the appropriate information, we have learned from your provider in advance. After that call connection by any pick-me a name. Pay special attention to the next item, in which to set up access for other users. If you want to allow to use this connection to others, then select “Allow”, otherwise, select “Disable”. That's all, Now you know, how to set vpn server on Win 7. For convenience, you can set a shortcut to the connection in the Quick Launch bar, or on the desktop. To do this, click the right mouse button on the shortcut and click on “Create shortcut”, then select it and drag to the right place. To connect to a novel compound, double-click on the icon, either click the right mouse button and select “Open”. Also you can simplify your further work and select “Save username and password”. So you do not have all the time to enter their personal data. When you first start the vpn connection system, you can select your location. If you click on the item “Public place”, you will receive additional protection from systems win 7. Similarly win xp system, Seven offers to make any adjustments and changes to the system. You can change your password, name and other parameters. To do this, right-click on the connection shortcut and select “Properties”. Open the settings tab, next, select “Manage wireless networks”. Here note the vpn settings and click on “Add VPN”. Confirm your action and add the “PPTP VPN”. As usual you have to give a name to the new connection, then enter the server address (We learned it from the provider) and save all changes. It remains only to connect to the network, To do this, double click on the icon. In the window that appears, enter your personal password and login. Now you know, how to set vpn on Android. It is worth mentioning, that you can make any settings and changes. And also you can create a shortcut for convenience, save your personal data and make the startup of the connection.